Ivy - Hopefully I will get around to posting about the bento box soon! 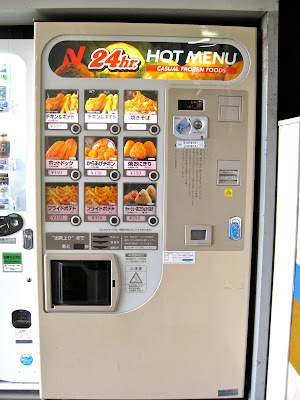 french fry vending machines, eh? i NEVER thought i'd see the day. what's next, made-to-order omelet machines? In rural Missouri, there's a place that uses a vending machine to dispense -- get this -- live bait.